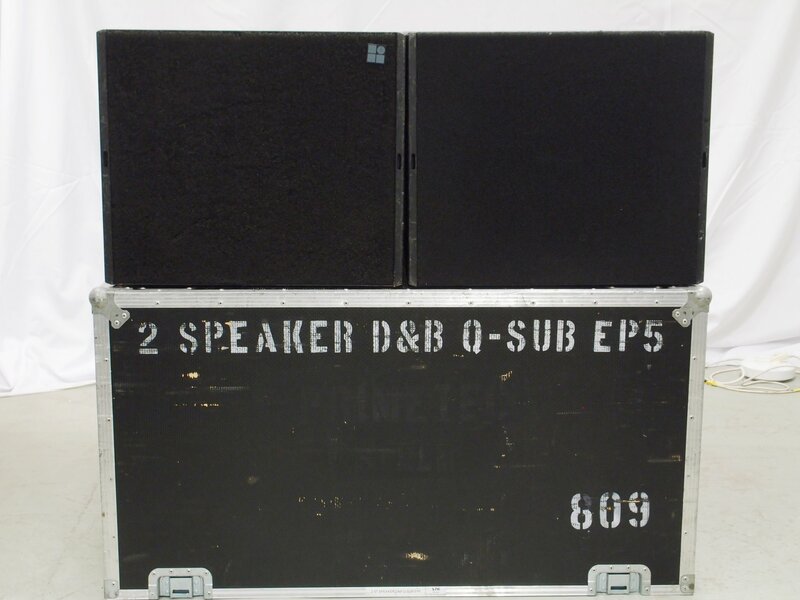 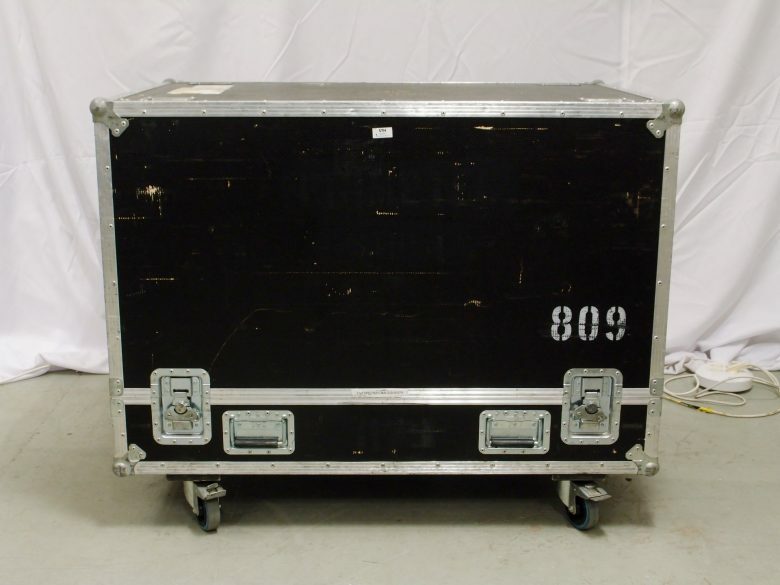 Pair of d&b Q-SUB in Spectrum Cases flight case. 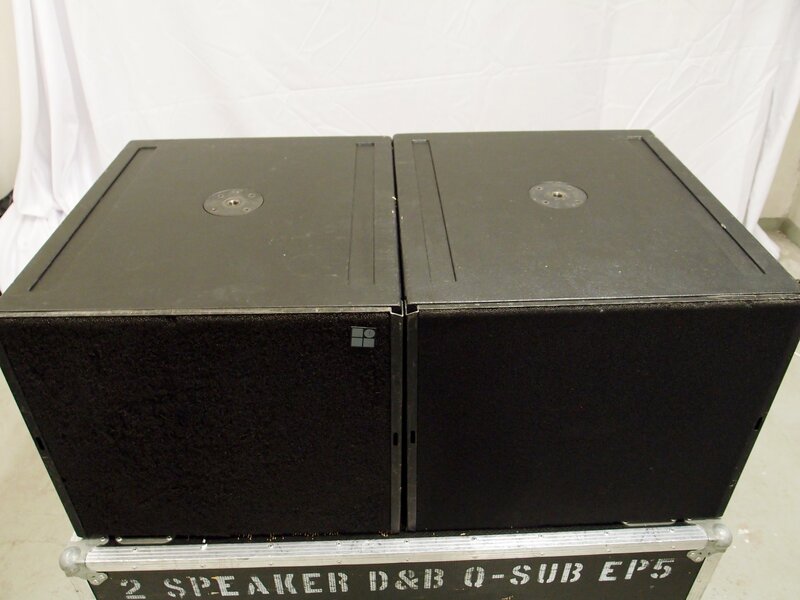 The Q-SUB is an actively driven low compression bass-reflex loudspeaker fitted with a high excursion 18″ driver. 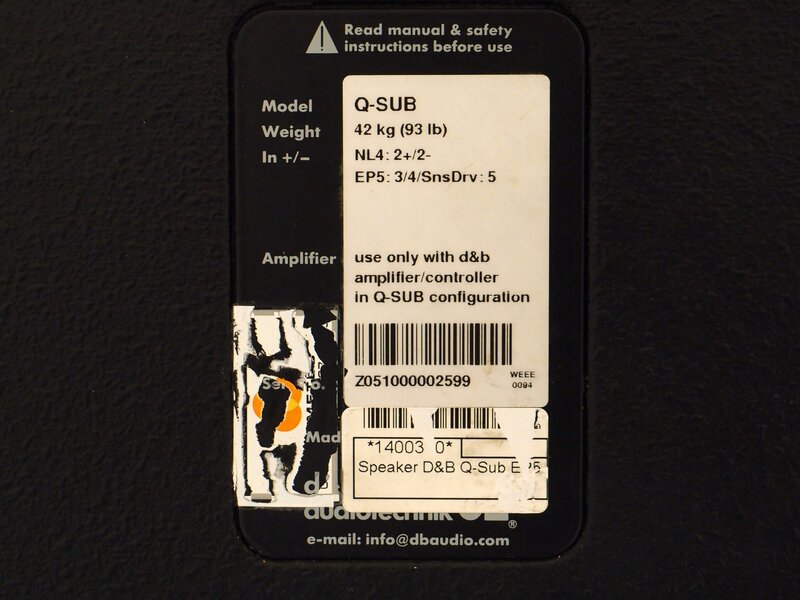 d&b SenseDrive technology is available when powered by the D12 amplifier. The Q-SUB is mechanically compatible with the Q1 and Q7; ten sockets in the front grill and side panels for Q-Series rigging components permit use in various combinations, either flown or ground stacked. The Q-SUB cabinet is constructed from marine plywood with an impact resistant paint finish, a pair of handles, four heavy duty wheels and an M20 threaded flange in the top panel to accept a loudspeaker stand. 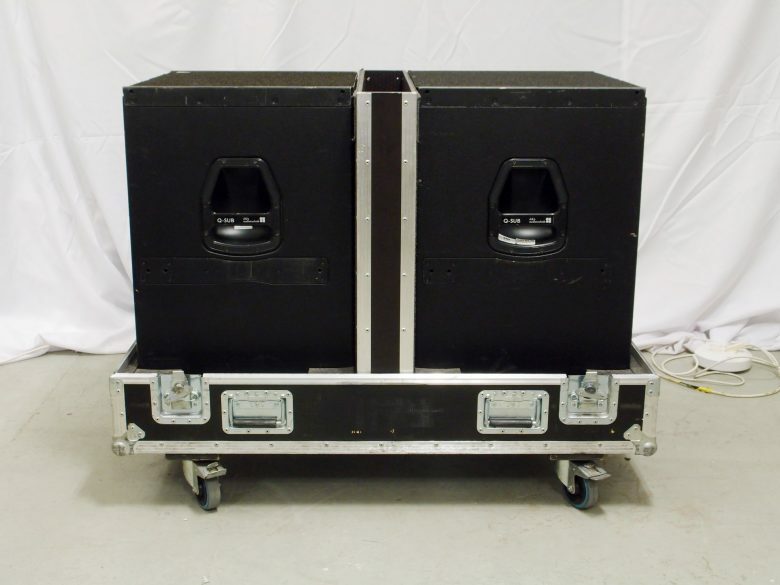 The front of the loudspeaker cabinet is protected by a rigid metal grill covered with replaceable acoustically transparent foam and two EP5 or NL4 connectors wired in parallel are mounted on the rear panel. 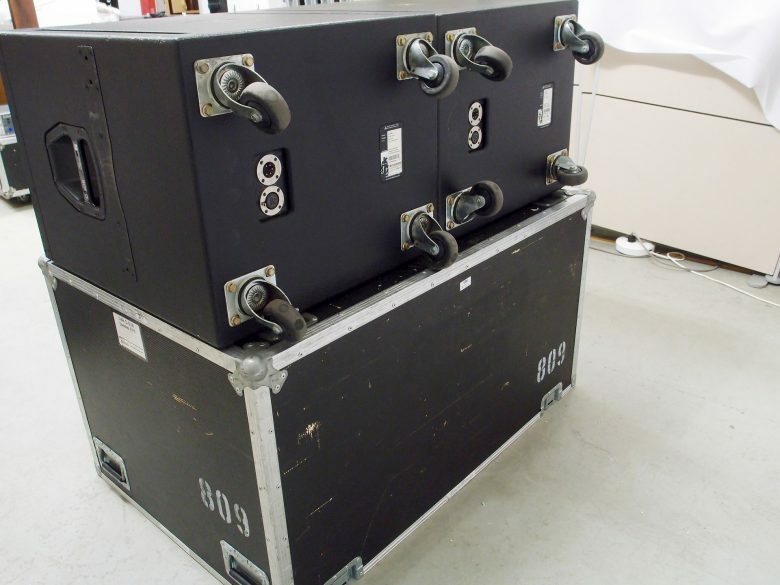 Two runners protect the bottom of the cabinet from scratching; these are located in correspondingly shaped recesses in the top panel to prevent movement when stacked. Fittings for securing an optional wooden lid are also provided.